Full artwork (all the pages with & without text, additional pics, logos) by Kevin M Sommers & lyrics are now available to download here! 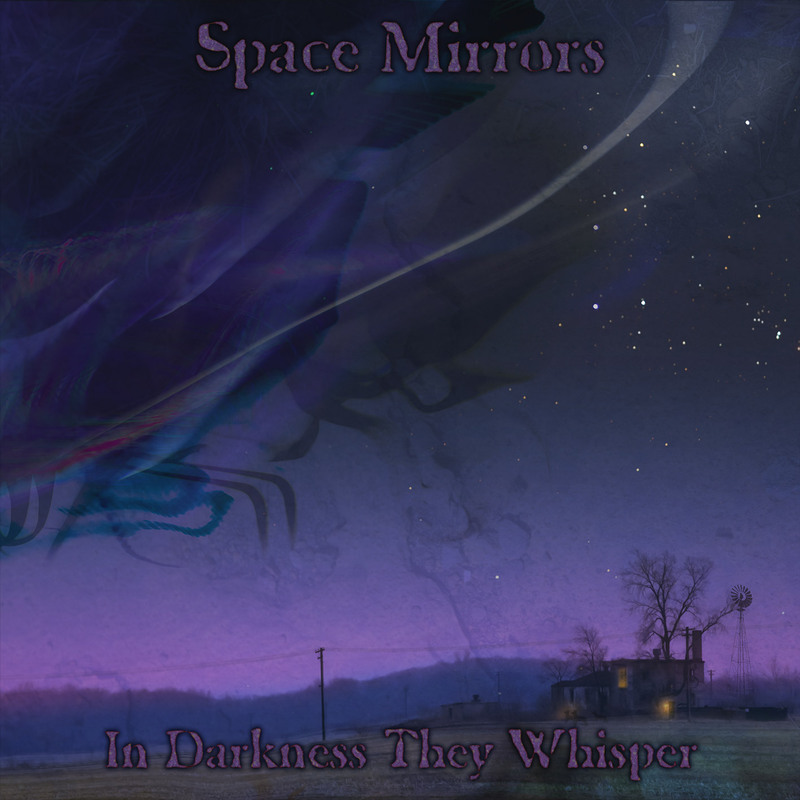 "In Darkness They Whisper" is a title of new album and it will be the first one in "Cosmic Horror" series. Songs are inspired by the metaphysical, cosmological and occult concepts developed by HP Lovecraft in his books. Music combines elements from heavy and melodic space rock to dark and epic prog metal while staying true to Space Mirrors style which marked the first three albums. We have many great guitar and synth solos on it! This time Massimo Arke (Opposite Sides, Hortus Animae) and Fabio Bartolini (Hortus Animae, Hate Profile) joined the album line-up to record most of the guitars on new album. Sparky Simmons (Acid FM) joined the ranks of Space Mirrors as new guitarist after he recorded his powerful guitars for "Rue d'Auseil is Missing" instrumental track. Martyr Lucifer (Hortus Animae) sings all songs concentrating more on clean vocals this time. We also got on this record: John Pack and Allen Welty-Green from Spaceseed play guitars and synths accordingly on several tracks, Alan Davey (of Hawkwind and Gunslinger fame) recording a powerful bass for 4 parts of the main epic song-suite, Nik Turner providing fabulous flute and sax again, Cyndee Lee Rule recording violin, Bjorn Jeppesen (Nattefrost) played synth solos in one song, we got many guest musicians. And Kevin Sommers is creating amazing artwork again!" Evocation chant on 4 and additional guitar on 6 by Alisa Coral. Music and lyrics by Alisa Coral. 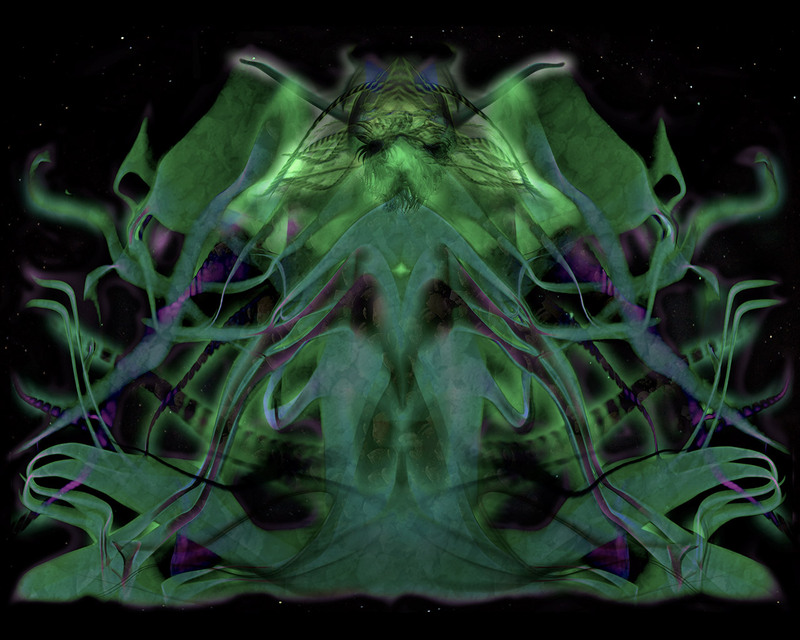 Lyrics are inspired by stories of HP Lovecraft. IDTW album was recorded from Fall 2010 to Winter 2012 at various studios around the world. 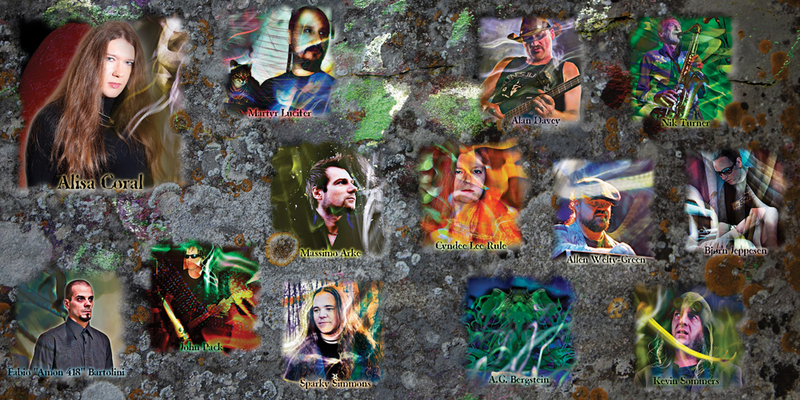 Mixed, mastered and produced at KZI studio,Moscow,Russia. John Pack's guitars and A. Welty-Green synthesizers were recorded at Studio Z,Atlanta,Georgia, USA. Synth solos are recorded at Nattefrost Studio by Bjørn Jeppesen in June 2011. Alan Davey appears courtesy of Flicknife Records.